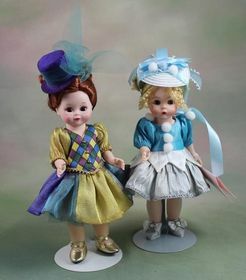 This rare two doll set features a brown-eyed, auburn haired Maggie with a slight sprinkling of freckles and a blue-eyed, blonde Wendy. 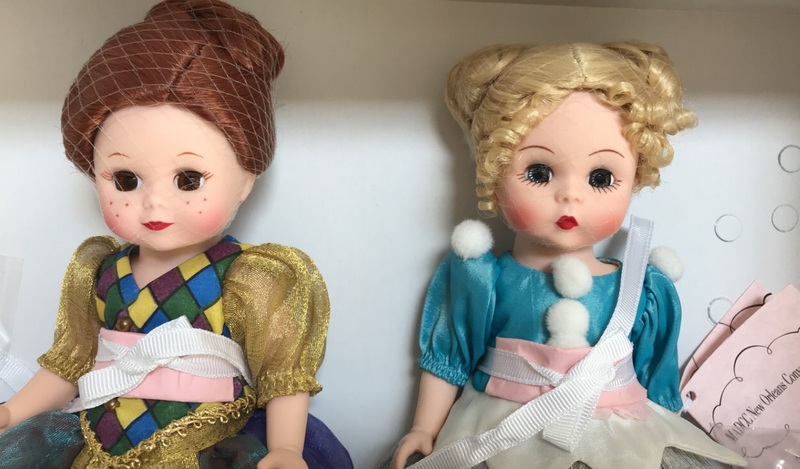 Both dolls are bent-knee and their special, up-swept, hairdos are specially styled to accommodate their Madri Gras costume's hats. 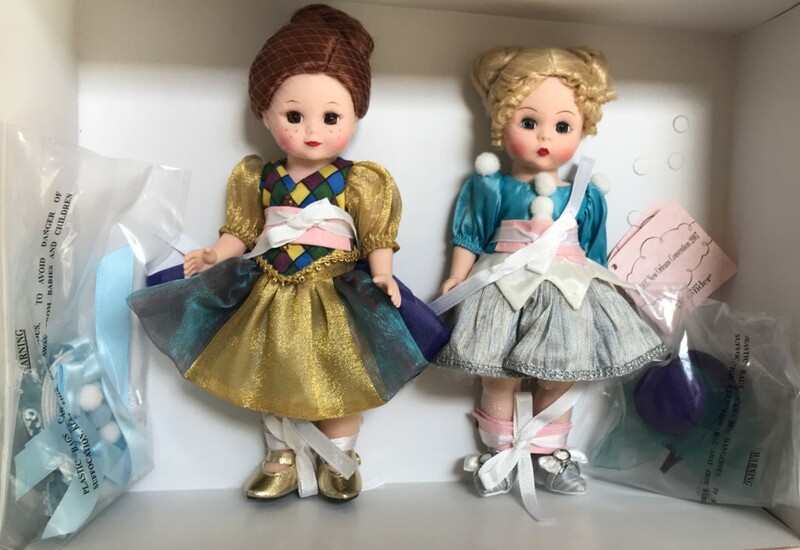 Each doll comes with a hand-held carnival mask designed to match the color and trim on their hats (still wrapped in tissue and tucked between the bottom of the box and the cardboard insert the dolls are tied on). The full photo is from the Madame Alexander Doll Club - joining is a must for any serious MA doll collector. 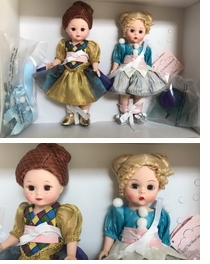 All accessories still sealed in plastic and attached to box - hairnets still in place and dolls never removed from box.